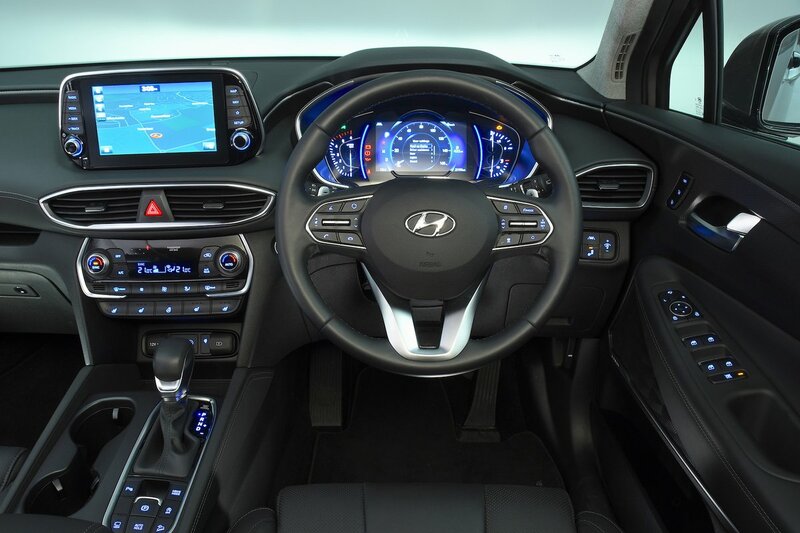 Hyundai Santa Fe Interior, Sat Nav, Dashboard | What Car? 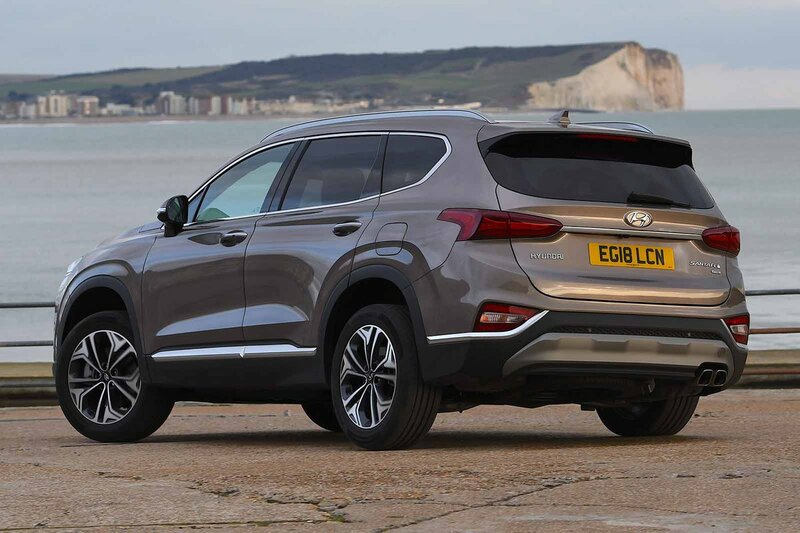 You’re unlikely to have many issues getting comfortable behind the wheel of the Santa Fe, thanks to plenty of steering wheel and seat adjustment. All versions come with adjustable lumbar support, and the front seats are fully electrically adjustable on all but entry-level SE trim. Our only minor complaint about the seats is that they don’t hold you in place particularly well through tight bends, although all models come with a front centre armrest that you can steady yourself with. The dashboard is logically laid out with clearly marked, well-spaced buttons and dials, making it really easy to use – even when you’re driving. In the main, the Santa Fe is easy to see out of. Forwards visibility is largely unrestricted and the view at junctions and roundabouts is also good by class standards. Relatively chunky rear pillars do hamper over-the-shoulder visibility, but you’re unlikely to have many issues with parking because all versions come with a reversing camera and front and rear parking sensors as standard. Go for range-topping Premium SE trim and you’ll even get a ‘surround view camera’, which displays a bird’s eye view of the car to make it even easier to avoid obstacles. Premium and Premium SE versions come with bright LED headlights to improve visibility at night, whereas entry-level SE cars make do with conventional halogen headlamps. Go for entry-level SE trim and you’ll get a 7.0in touchscreen whereas the posher trims come with a larger 8.0in screen, a punchier Krell sound system, wireless phone charging and a built-in sat-nav. However, all models get Apple Carplay and Android Auto smartphone integration and DAB radio as standard. The fact that the screen is mounted high up on the dashboard means you don’t need to divert your eyes far from the road to see it. The physical shortcut buttons that flank the display are useful, too, making it easy to hop between functions. You’ll also find the operating system user-friendly, although the screen can sometimes be a bit sluggish to respond when you prod it. In pure build quality terms, the Santa Fe actually edges the Peugeot 5008 thanks to an interior that feels even more sturdily assembled. However, the finish of the materials used is slightly less impressive; the faux leather on the dashboard feels a bit cheap, and you could easily mistake the leather that covers the steering wheel for plastic, too. Overall, the Santa Fe is par for the course when it comes to interior quality.